My 45 year old Candy Striper cap. 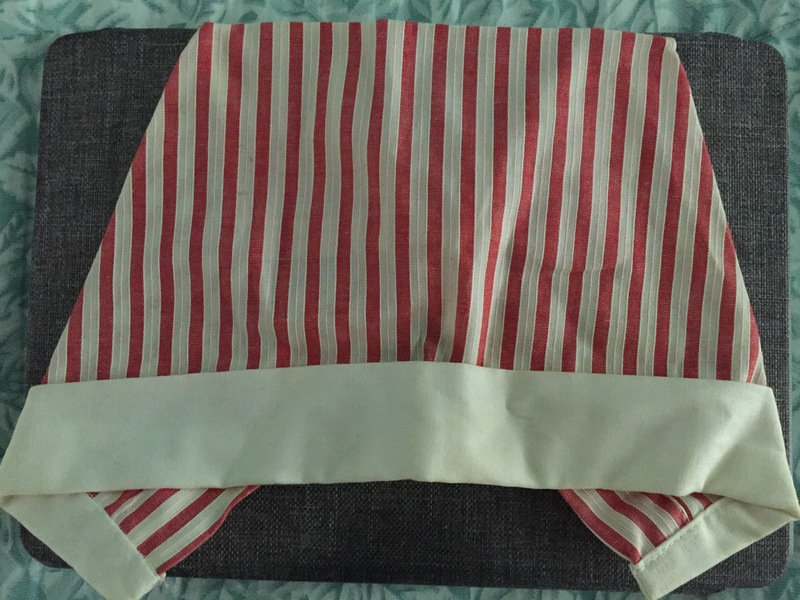 I still have the red and white searsucker cap that I wore as a Candy Striper at Hudson County Hospital, New Jersey, in the 1970s. I am proud of the time I volunteered to cheer up patients and help the nurses. Our job then was pretty easy to do, we did whatever the nurses asked us based on the rules issued by the office of volunteers. For me it was important to help others, and visit the sick. Several days a week, after I finished my classes at North Bergen High School, I would go home and change into my white and red pinafore and take the bus along Park Avenue to the hospital. Once there I would check in to the volunteer office and get my day’s assignment. I usually worked for two hours. That was perfect as my Dad would pick me up on his way home from work. My favorite assignment was to go and visit with the children who were in the hospital. 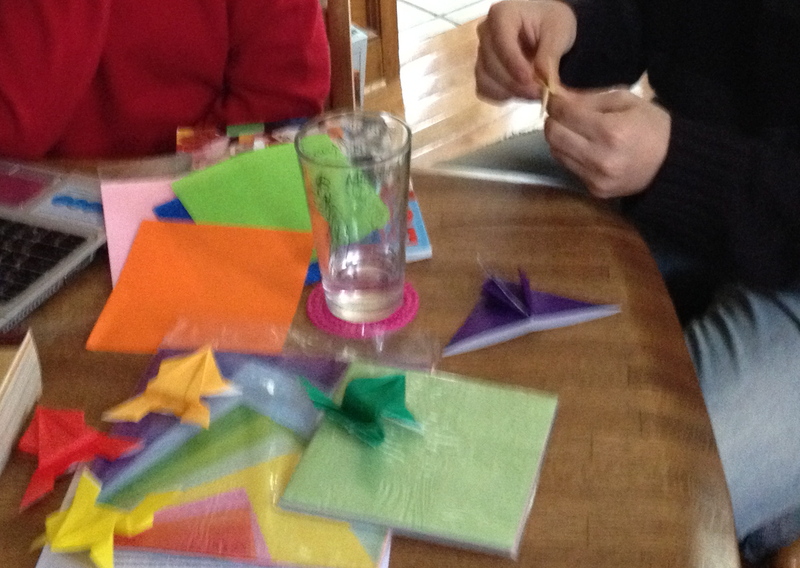 I knew how to create creatures from paper having learned the art of origami when I was 10. I often brought some square origami paper with me. When I ran out the nurses would find colored paper for me to use with the children. It was two hours of fun for all of us! I tried to visit every room with children. In those days visiting hours were restricted. Parents could only be with their children for several hours a day. I knew from my own stay in the hospital how sad and lonely it can be. It made me happy to bring a bit of joy to a younger child and leave behind a little gift of a bird or box or frog. But I did not always get assigned to the children’s ward. To be honest I did not like having to help in the adult rooms. You never knew what you would see, especially on Mondays. Often on Mondays, the results of a weekend of carousing were evident in hospital beds filled with adults who had been in car accidents. I really did not like to see people in traction and stitched up. I would get a little sick to my stomach when ever I entered a room. But since, in those days I wanted to be a nurse, I did whatever I was asked. So into a room I would go carrying the sheets or other items as requested. My time as a Candy Striper lasted not quite two years. It was on a Monday…accident day… that it ended. I remember entering a room, then waking up in the volunteer office and seeing my Dad talking to the director. It was my last day. I did not do anything wrong. Just walked into a room, as I was told to, and ended up being there just as a man died. I passed out. I am not proud of that, nor of the fact that I did not go back. But the sight of blood and death did not make a positive impression. I realized then I would never be a nurse. It made it difficult, years later, when I married a medical student. While others would visit their spouses when they were on call, I did my best to avoid the hospital. For me heading over to the hospital for a chat was just not my idea of fun. As the years pass, I learned to let go of my discomfort in hospitals. I no longer get a sick feeling in my stomach when I enter a hospital. I am aware of the good aspects along with with difficult ones. Overall I have good memories of my time volunteering as a Candy Striper at Hudson County Hospital. I believe that the time I spent with the children and helping others were the part of my upbringing that enhanced my belief in the importance of volunteering. My time as a Candy Striper made a positive impact on my life.